Initial consultation and proposal are free of charge. In 2016 it was estimated that there were 13,900 homeowner's associations in the State of North Carolina and 342,000 HOA's nationwide! Of those associations in NC, it is estimated that there are approximately 2.8 million people living in those associations with a property valuation nearing $225 BILLION!!! These assets will only appreciate if these homeowner associations maintain their common element! With such a staggering amount of money on the line homeowner associations and the Boards that run them can not risk leaving the common element unattended to. However, day in and day out HOA's spend an inordinate amount of money having to do major repairs instead of maintenance because they do not have a solid handle on the maintenance needs of their common element. Insured – We carry E&O insurance and stand firmly behind every single inspection we perform! When is a Repair Considered Maintenance VS When is a Repair Part of Capital Reserves? What are these two accounts and how do they differ? We all know that HOA’s have a ton of ongoing contracts to help keep up the grounds of the homeowner’s association, to maintain pools and playgrounds, maintenance needs, property management, etc. For the most part all of these ongoing maintenance needs for the HOA are handled through the association’s Operating Account. The budgets for these expenditures are set yearly and our funded through homeowner association fees. These lists can be quite long depending on the size of the HOA and the amenities the HOA maintains. The Capital Resrve account is funded through homeowner association fees and the amount of contribution should be set by performing a capital reserve study with a 25 to 30 year outlook. As a rule of thumb, any maintenance item whose total repair cost or installation cost would exceed 10% of an HOA’s annual budget should be considered a Capital Reserve expenditure and be included as part of the HOA Capital Reserve Study. Your HOA should be funded properly and providing a proposal for your HOA is free of charge. At Mountains To Sea Inspections, we pride ourselves on providing the most comprehensive digital maintenance inspection report to your Board and Management Team to enable them to make the best decisions regarding the up-keep of your association’s common element. Below is just a sampling of items we inspect from a list of over 100 items. One of the biggest budget busters anywhere! The maintaining of pavement has caused more special assessments than any single item on this list! 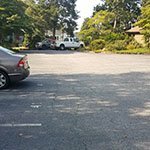 Properly maintaining asphalt will extend the useful life by many years. 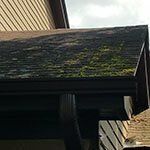 Number 2 on our budget buster list, roof maintenance! 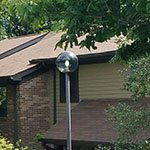 Your association’s roofs are the first line of defense between your buildings and mother nature. Properly maintaining your roof coverings will pay huge dividends. 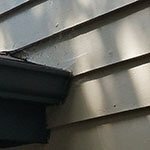 Number 3 on our budget buster list, exterior maintenance! For exteriors to last they need to be maintained and painted on a regular schedule. Let our report help your Board of Directors schedule that by knowing the need now. Not in the top 3, but signage is another area where you might be surprised by the associated costs for replacement. 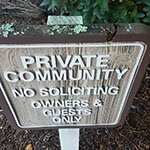 During your HOA Maintenance Inspection we will thoroughly inspect all signage. Electrical contacts and sensors wear out over time, especially in an exterior application. As a homeowner you do not realize when one of these items is in need until it fails. Here is an item that gets neglected all the time and is usually brought to your attention through enforcement with local government agencies. 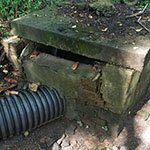 Proper maintenance and operation of these storm water control features is required in most cities.